Big update before I'm away for almost three weeks (see next post). I posted on Thursday that this rally could be only a wave [b] and a wave [c] to 1295-1300 could still follow. For this count to happen the market has to sell off immediately early next week though, the higher we go from here the less likely is this alternative count. 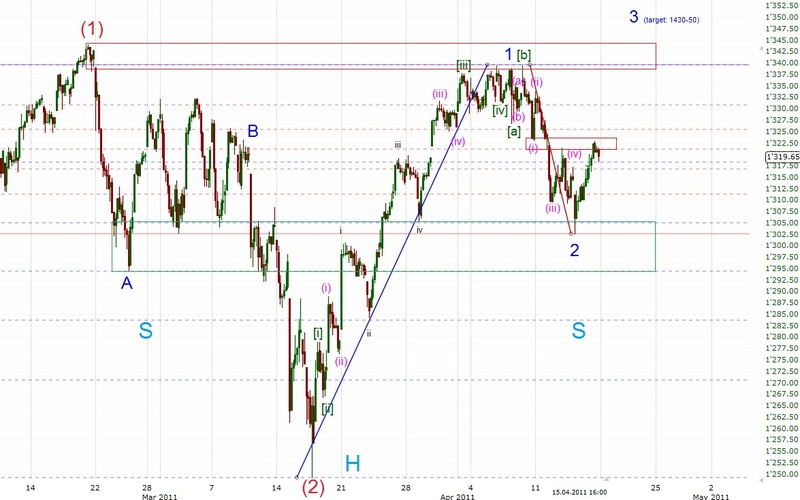 A break above the 1340-44 area confirms that wave 3 is underway. 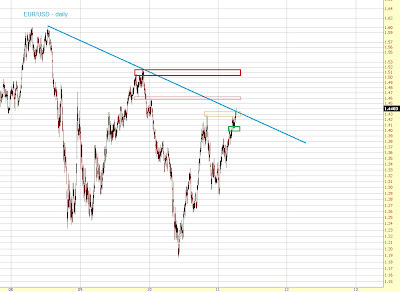 My target is 1430-50. After the break above 1.43ish the EUR/USD has hit 1.45 several times this week. 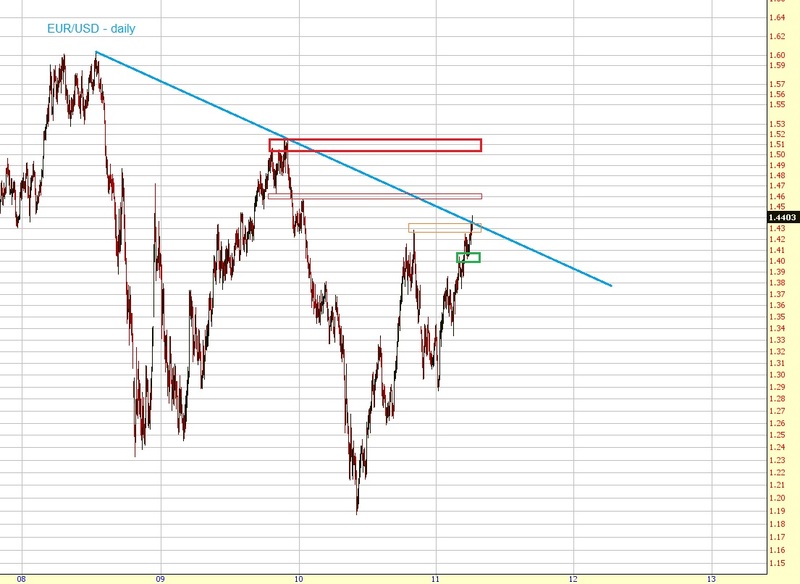 Unless we get a convincing decline below 1.425ish I still think that we'll see 1.50ish. It's been a long time since my last update on gold but there was just no need for an update as it continues to go higher. Only a break below the uptrendline would change the medium term picture. Silver continues to outperform gold. We're already way above 40$ and it looks like we're heading for the all time high near 50$. As with gold, there is just no reason to short silver.